The unique and challenging Designs Northwest office building began construction in January of 2017. This 2-story combination concrete tilt-up and wood framed structure is being built on a flood plain and was designed to resist fluid pressures, as well as byouancy uplift forces. The tilt-up video shown here was shot in about the span of 3 hours. The "Carroll Building" won an AIA award recently. The commercial Windermere office building was a tremendous structural engineering challenge. Jason Lindquist was the engineer of record. 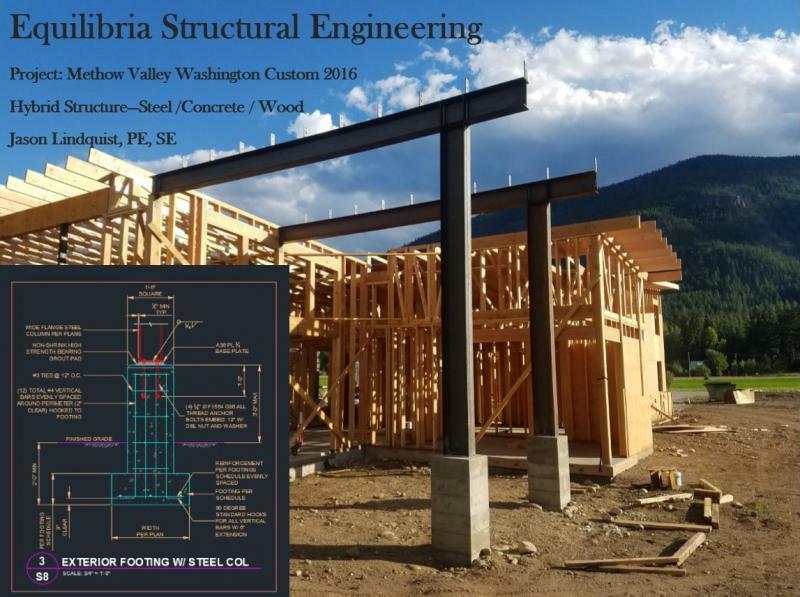 Note: The structures linked above were completed by Engineer of Record Jason Lindquist during his employment with West Coast Structural Engineering. When comparing engineering firms, it's helpful to keep in mind the value that a good engineer can bring to your projects. An experienced engineer that is able to spend an appropriate amount of time and energy on a project can significantly reduce the cost of the overall construction. Copyright 2013 Equilibria Structural Engineering. All rights reserved.